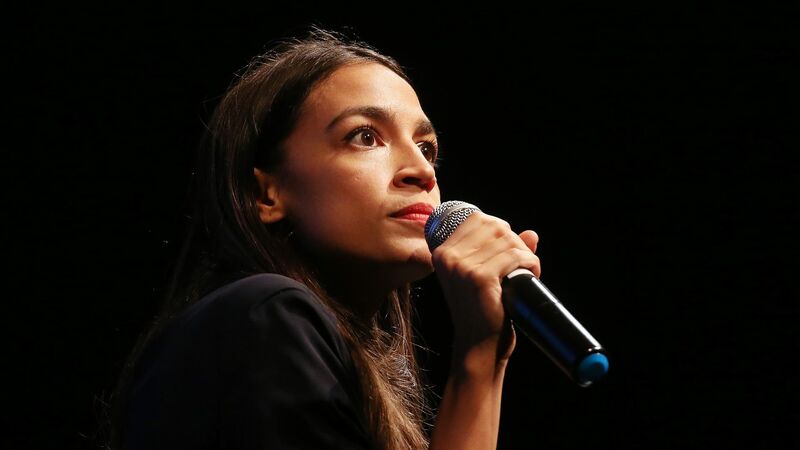 Alexandria Ocasio-Cortez calls Puerto Rico a "colony" of the U.S.
New York House candidate Alexandria Ocasio-Cortez today called Puerto Rico — a territory that lacks statehood and thus the ability to vote — a "colony" of the United States, claiming that Americans must recognize that the island deserves "real self-determination" in order to fix the root causes of Hurricane Maria's devastation. Between the lines: President Trump has repeatedly praised the U.S. government's response to Hurricane Maria, despite the disaster resulting in close to 3,000 deaths — a figure that Trump disputes. Today, on the one-year anniversary of Hurricane Maria's landfall in Puerto Rico, the White House released a statement calling the response a "historic recovery effort" that has helped Puerto Rico make "significant progress" rebuilding the island after the storm.